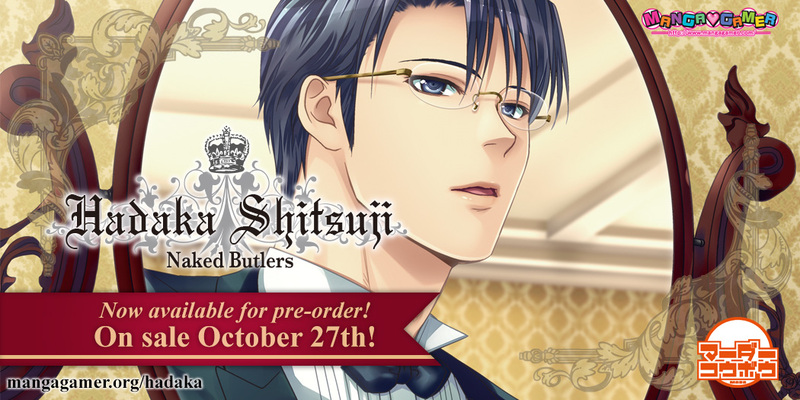 Hadaka Shitsuji – Naked Butlers –– Now Available for Pre-order! Infamous BL black comedy, Hadaka Shitsuji – Naked Butlers, is now available for pre-order! Pick it up before it goes on sale on October 27th to save 15%! 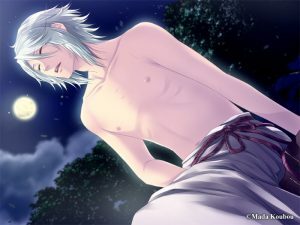 Tagged BL, hadaka shitsuji, mada koubou, naked butlers. « Space Live is Now on Sale! So I’m curious, is this kind of like NO, THANK YOU! in that it starts out as a comedy but becomes something quite different as the plot goes on? Hmm, I wouldn’t say they’re all that similar in that regard but there is a bit more than meets the eye with Hadaka. 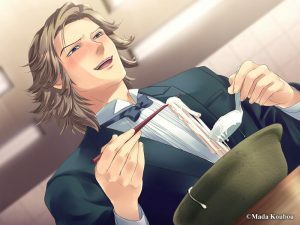 Ultimately it’s a pretty silly (and fucked up) game with a simple but well executed underlying plot––and the main appeal throughout is still really the comedy and messing with the butlers. 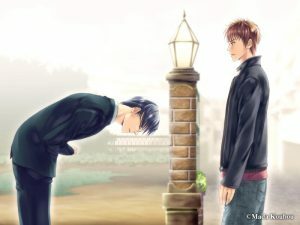 Personally, the thing that really made me fall for the game at least was just how it takes a lot of traditional BL tropes and turns them on their head (like in your typical traditional BL game, the butlers would be the sadists making sport of the MC and whatnot, and Hadaka also sorta flips what you’d expect to be the “good” and “bad” endings, stuff like that).